Sometimes the ironies are too delicious when covering the world of false Christian teaching. Like if Joel Osteen ever preached on the importance of context. Or if Kenneth Copeland preached about the evils of loving money. Or if Paula White preached on holiness. Or Mark Driscoll preached about being a fool. The latter has actually happened now and is linked above. The disgraced fugitive from church discipline has a new congregation to ruin in Arizona and Charisma News has apparently no shame in allowing him to once again write as if he is an expert on anything other than how to destroy lives and steal money. 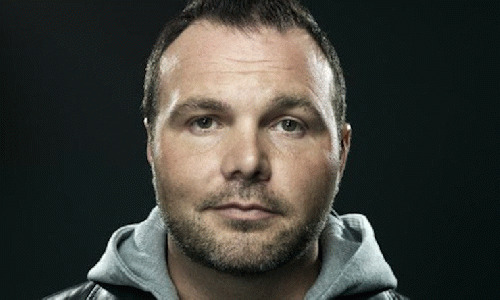 Let us reason once more as we learn what it means to be a fool and who better to teach us than Mark Driscoll? Irresponsible -- do you mean like when you stole $200,000 in tithe monies to pay a company to unethically rig the NY Times Best Seller list so that your book would get a top ten rating? Wasn't it irresponsible of you to do that whoever came in 11th that week? To steal their rightly deserved top ten status but piling up boxes of your book in the Mars Hill Church lobby? Making Excuses -- do you mean like when you claimed that this theft was technically legal because your hand-picked board said you could steal the money? Blaming Others -- do you mean like when you pretended God told you to leave Mars Hill right when you were about to be disciplined? That God told you they were "laying a trap for you?" A trap to have to you step down and go through a fully paid restoration process? Is that what you mean? Arrogant -- do you mean arrogant like when your hand-picked board of elders had no choice but to conclude that you had "been guilty of arrogance, responding to conflict with a quick temper and harsh speech, and leading the staff and elders in a domineering manner?" Or do you mean arrogant like when 21 former elders filed charges against you saying you exhibited a lack of self-control by verbally assaulting others, created a culture of fear, and were verbally abusive to anyone who challenged you or disagreed with you. Unyielding -- do you mean when you mocked your victims by referring to them as a "pile of dead bodies behind the Mars Hill bus" you were driving? That it was a good thing you were running these people over and blessedly subtracting them from Mars Hill? When you said by God's grace it will be a mountain of dead bodies by the time you were done at Mars Hill? Unteachable and defensive -- do you mean the way you act now when anyone has the temerity to bring up the thousands of sheep you mangled at Mars Hill? Many of which are still roaming the Christian landscape bleeding? Or how you use your children to try and make people feel bad for your position when it had everything to do with your actions? That you always couch your answers now with admission of some smaller level of mistakes BUT. There is no but Mark. You are a fugitive from church discipline and disqualified from pastoring. How can you not see that you are speaking about yourself? When you faced the impending discipline from your own church you faced a fight of flight and you ran. You have tried fighting back for a couple of years but you just kept digging your own grave deeper. Even when the Acts 29 network of churches that you started kicked you out, you fought on. In the end though you told that fib about God saying that a trap was being set for you, the poor victim, and you took your ball and went home. Your board of elders wanted you to change Mark. They wanted you to stop abusing people. They wanted you to stop being sexually explicit from the pulpit. They wanted you to stop treating people like a tyrant. They were willing to pay your salary while you worked on changing, never challenged your theft, and insisted on incorrectly claiming you had done nothing illegal or heretical. Yet that was not good enough for you Mark. You had to pretend that you were the victim and leave Seattle behind with 14,000 wounded sheep. That is not low empathy -- it is no empathy. As you settle into your new pastorate in Arizona the specter of your folly repeating itself hangs over everything you do moving forward because you are simply no longer qualified for the position you hold. Even though most of this narrative seems directed to you Mark, it is really for anyone who may not know who you really are and might stumble across your "ministry." It is for the poor people in your congregation who need to speak to some of your former members at Mars Hill. It is for the readers of Charisma News, who have decided they have no standard for who should be allowed to publish work on their website. Because you are a gifted speaker and writer Mark but you continue to take no responsibility for your life and what you did in Seattle. The trail of blood from Washington State to Arizona is quite evident. You clearly despise wisdom and discipline since you ran away the first chance you got and you are still running to this day. You are the fool you write so casually about. The people of Seattle and Mars Hill tried to push the responsibilities of your actions back onto you but you were having none of it. Instead of submitting to church discipline by a more than friendly board and being restored to a people you claimed to love when you weren't running them over, you decided nothing was more important than your career. I know you will not embrace what myself and countless others have tried to pour into you. Your arrogance and foolishness will not allow it. People have tried for years now to have you walk away from your flesh and towards wisdom and at every turn you have declined. Your own hand-picked board of elders? Your friends at Mars Hill formed over many years? The very church network you founded? They are all wrong Mark? All of them? Wow what hubris and arrogance to conclude something so ridiculous and self-serving. The bible has a word for someone like that Mark.